If you have a question about building ordinances or looking for permits and applications forms, this is your main source for information. 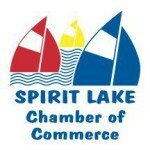 For more information, contact Bob Voss at bob.voss@cityofspiritlake.org. To learn more about contractor registration information, click here.